In a time when Fendi Fs, Louis Vuitton LVs, Gucci Gs, Supreme's signature red logo, and even Balenciaga's ironic "Bernlenciaga" label dominate the world of fashion, Valextra wants to redefine authenticity and bring individuality back with their spring 2019 collection. At Milan Fashion Week, the brand launches #NoLogoMyLogo, "a customized all-over monogram collection that celebrates individualism and personalization." Instead of wearing someone else's labels on your bags, Valextra wants to encourage people to wear their own and to be authentic not in terms of labels, but to be authentic to themselves. Because, as their press release states, "Being oneself is the ultimate luxury." This new collection gives the customer an opportunity to be part of the creative experience, with Valextra as the curator. 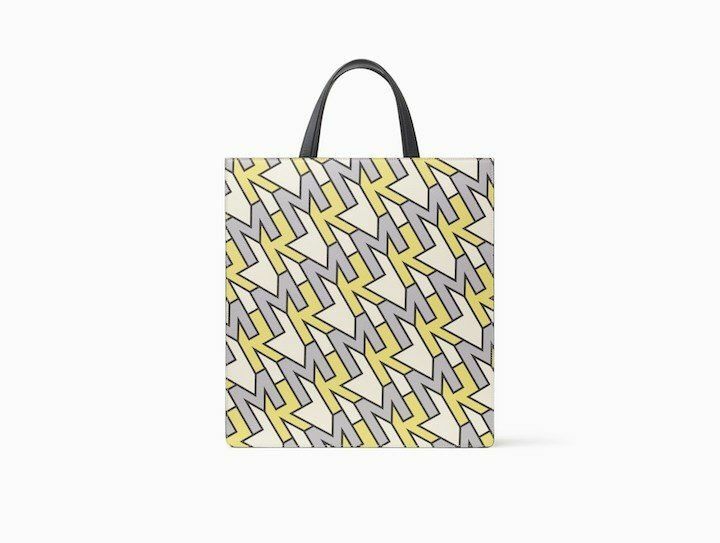 And while this could have so easily become tacky, the brand's designs have created unique, works of modern architectural art in the form of strong graphics, and "bold and honest shapes," that make for tastefully striking patterns on classic-silhouetted leather bags. "First, clients choose the bag out of six different styles, configure their initials and select color and size. Afterwards, Valextra designers guide them through an infinite number of combinations, in order to create the perfect all-over monogram. Finally, the monogram is printed, the bag assembled and within three months of the initial configuration, delivered at the client's doorstep." Troye Sivan was spotted recently with his own customized T.S. monogrammed Valextra bag. This refreshing new design trend is bound to catch on soon as more people tend to focus on building personal brands, and finding individualistic identity in a world full of Kardashian clones and couture copycats. See some of the different designs below.